I’ll start with my absolute favorite one. This I snapped with my phone camera one evening a couple weeks ago. I had a crazy day and took a little walk right near sunset. The sight of this literally stopped me in my tracks. 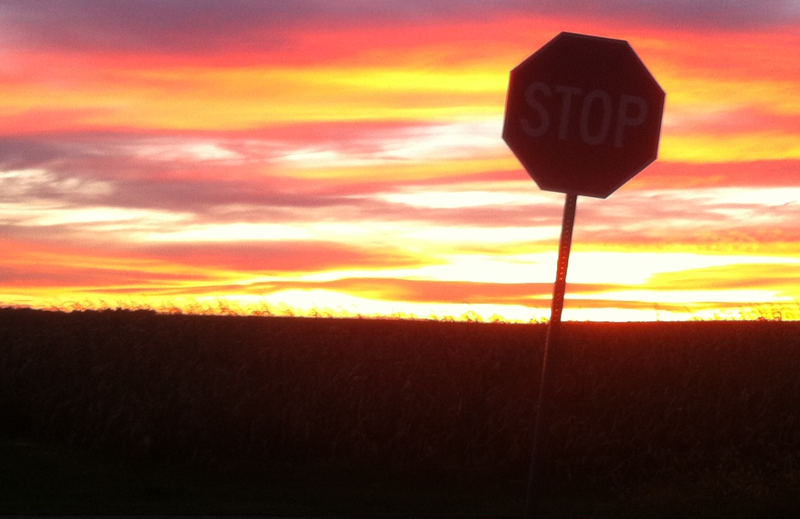 I just had to capture the Stop sign in the foreground with the beautiful sky in the back. I felt more than a nudge from my Creator telling me, “Rachel, you just need to stop right now and worship me.” So I did. A lot of my time has been taken up with leading our school’s PTO. Though I had a couple of years in as Secretary, this was my first year as President with a completely new group of officers. 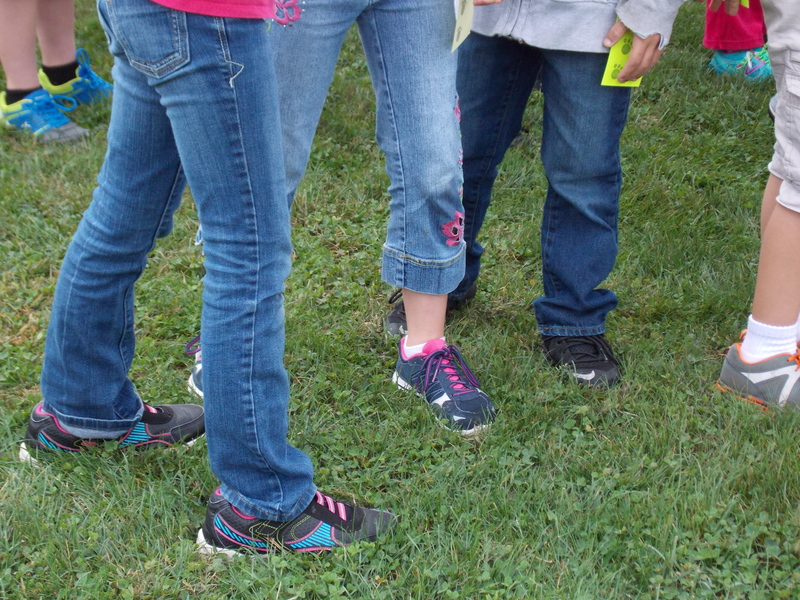 Our one and only fundraiser for the year is a Race for Education, which we do in early October. To say I put a lot of time and effort into this is an understatement. But it is worth it. 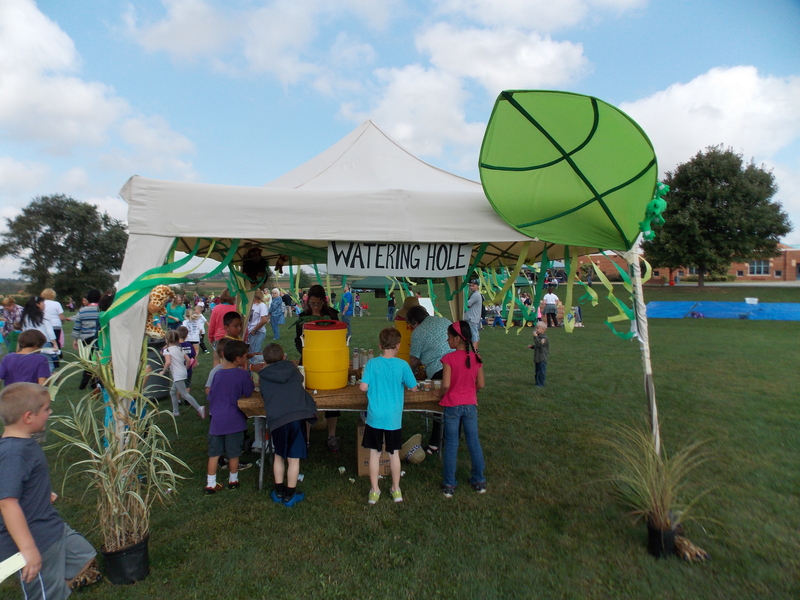 Our theme was “Wild Safari,” so our group had a lot of fun with making it all themed out for the kids. It was an awesome day! 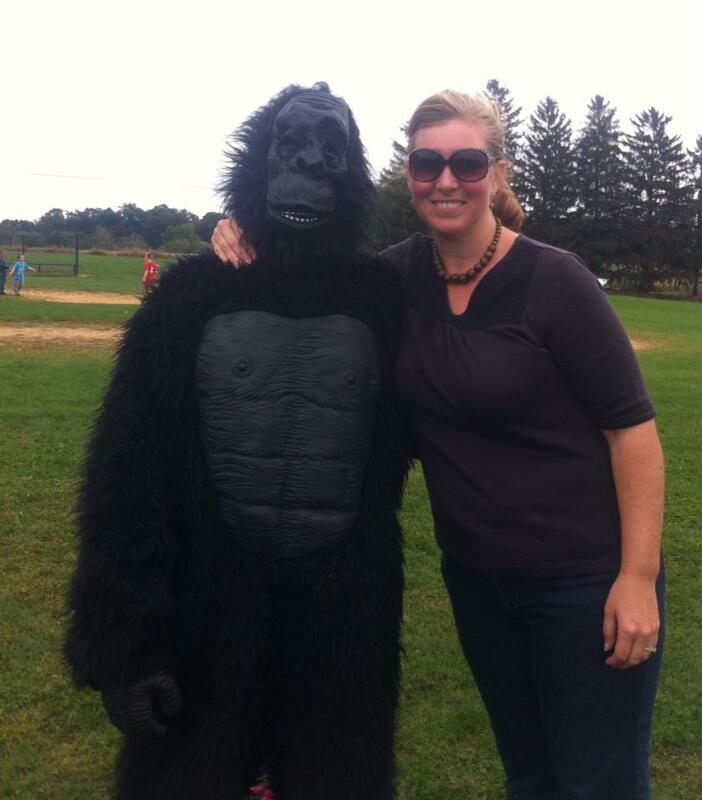 My poor husband dressed up as a gorilla and stayed in this costume most of that day. The kids loved it and enjoyed chasing him around. I’m told he must really, really love me for doing that. He does.Thankfully. Our family has been really into hiking whenever the opportunity presents itself. We have had a number of gorgeous weekends to take advantage of and lots of pretty trails within reasonable driving distance. 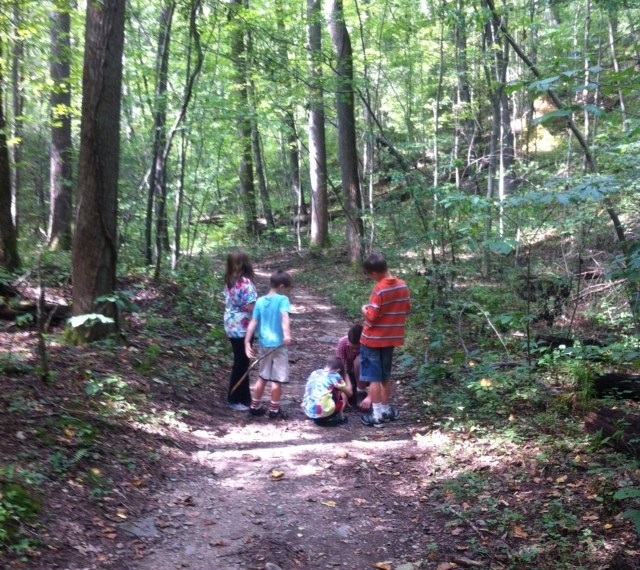 This is just a little snapshot of the kids checking out something on one of the trails. 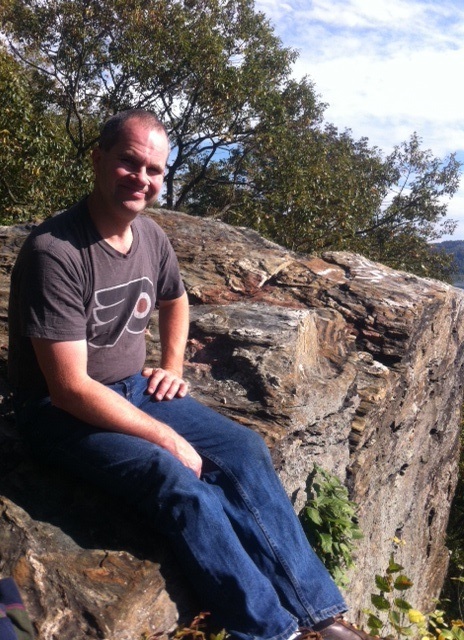 A shot of my husband sitting atop a huge rock at the end of one of those trails overlooking the Susquehanna River. It is named “House Rock,” due to the fact that it’s huge. 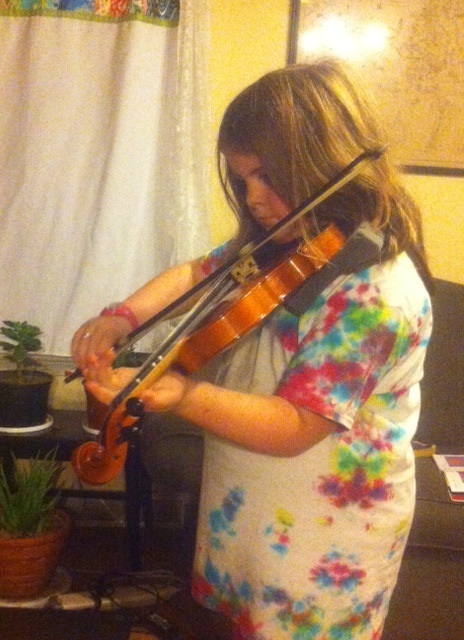 My daughter is in her second year of violin, which she is pretty into. This is my sweet girl serenading us one evening. 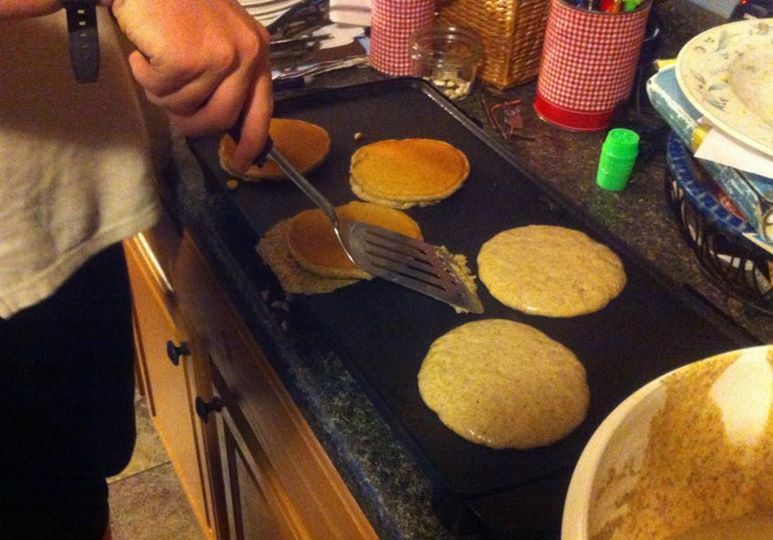 Not a very good picture, but this is my oldest son flipping acorn pancakes. Yup, you read that right. Acorn pancakes–as in, made from acorn flour. We took it upon ourselves to experiment with making acorn flour. A long process, but it turns out good! Next fall I would like to do more when the acorns first start dropping. We have a bit left that I put in the freezer to use in another recipe. Well, that’s all folks. A brief snapshot into just some of what has been shaking around here. Like I said, busy but beautiful. I have LOTS to be thankful for!